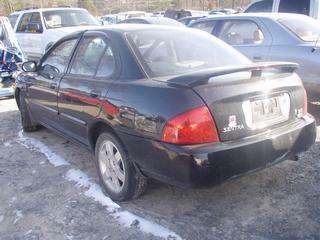 You are viewing used 2006 Nissan Sentra 1.8; 1.8 S offered for sale. Find out here most detailed specifications, photos and review. If you like this car, you can also find here information about auto dealer(if available) and contacts them using provided contact information. If you are in search of a good and reliable car, the one that will serve you faithfully for many years to come, Sentra is sure to become your best choice! Since this model came on the market, it has won the hearts of many motorists. So, what are the main characteristics of Sentra? This car was produced in 2006. Soon after its introduction it became one of the most selling vehicles in the world owing to its reliability, powerful engine, safety, pleasing appearance, technical specifications, trim etc. Stop hesitating and take this car for a test drive to make sure it is as good as we are describing! This Nissan Sentra Repairable is equally easy to maneuver on highways, city and cross-country roads. The main characteristics of this body style are stability, ride quality and agility. The lovers of speed should take it on a test drive to check its capabilities and enjoy the speed it can make. The exterior color of the Nissan Sentra is Black, which is an eye-catching, vivid, but not too bright a shade. The vehicle of this color is sure to become a real envy to your colleagues, relatives, or anybody partial to this model. The Black will invigorate the outside of your car. Nissan Sentra 1.8; 1.8 S is characterized by flowing lines, rounded shapes, coziness and a lot of space in the passenger and cargo compartment. The insides of the car look very stylish and trendy. The exterior and interior design of Nissan Sentra 1.8; 1.8 S will always make your trips pleasant and unforgettable. Our reliable Nissan Sentra has travelled about 62243. However, we assure you that this vehicle is in perfect condition and is ready to cover a great number of miles in the future. Besides, the price offered will leave you in no doubt about buying this Nissan Sentra 2006. VIN is a special number used for identifying different motor vehicles. There are some standard components of the vehicle identification number – first numbers identify the manufacturer, the numbers that go next identify the type of the vehicle, the platform, the body style. The VIN of this car is 3N1CB51D26L. Thus, Nissan Sentra is a personification of its famous maker. It combines the highest achievements of engineering thought and technology and can easily be called a safe, comfortable and reliable vehicle that has everything you might need from a car. Make up your mind and choose this flagship model!